India is one of the hotspot tourist destinations in the world. The nation presents scores of attractive features to its visitors that can enjoy their holiday in a most enthusiastic manner. The city of Nashik, Maharashtra is one of the notable vacation sites which magnetize large number of globetrotters every day. There are so many exciting places in the metropolis, where a tourist can enjoy some snap shots. Among the city tourist attractions, Sita Gumhpa is one of the most attractive places. The cave is located at a drive of just 4 Kilometres from the city of Nashik. It is a religious site which overflows with tourists and devotees from all over the globe. The place is closely related with the Hindu Religion. It was the place where Sita (wife of Lord Rama) used to worship Lord Shiva during her exile. According to Hindu Mythology, people believed that from this Gumpha (cave) Sita was kidnapped by Ravana (the primary antagonist in the Hindu epic Ramayana). It is a narrow cave and a staircase leads to the center of the cave. Inside the cave, people worship idols of Lord Rama, Sita and Lakshmana (brother of Lord Ramana). At the left direction of the cave, Linga of Lord Shiva is worshiped. Sita Gumpha is located at the western side of the Kalaram Temple which is one of the places of worship for Hindus. The Gumpha is surrounded by five tall & broad banyan trees. 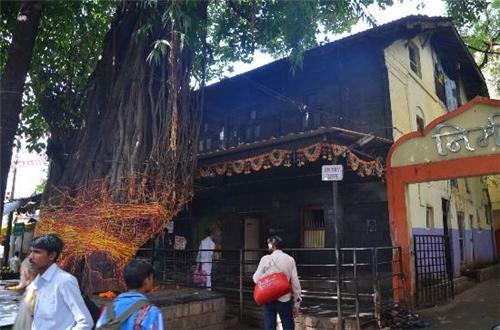 Because of the presence of these five banyan trees, the pilgrimage site is also called as ‘Panchavati’. The shiv linga which is now worshiped in the cave by devotees is the same idol worshiped by Sita in ancient times. During the time of Hindu festivals, place overflows with thousands of pilgrims from different parts of the country. During a trip to Nasik, one can also explore other destinations along with this Gumpha. A few names of sites which are situated at a close distance from this Gumpha are namely Trimbakeshwar, Kalaram Mandir, Naroshankar, Shri Kapaleshwar, Sundarnarayan Temple, Tapovan, Shri Ved Temple, Godawari Ghat, Shri Kailash Matha and Mukti Dam. To take a pilgrimage tour in the city of Nasik, it is always good to plan in advance to avoid any inconveniences. Get in touch with a professional travel planner to enjoy an unforgettable trip in the city. A traveller can also customize his itinerary according to his budget and interest. Have a lovely vacation this time in the historical town of Nashik.